An excellent reproduction of the oil pan used on 1966-69 426 hemi applications. Produced from heavy gauge steel with correct internal baffles as original. E-coated to prevent corrosion and to promote paint adhesion. Includes #5890 drain plug. 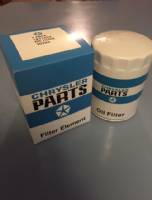 Reference Chrysler part #2780 547.